I feel that the wheels define the scope of the entire Cycle Karts design, so I was elated today when my Honda CT 90 wheels arrived during lunch. Commence Cycle Karting Excellence. 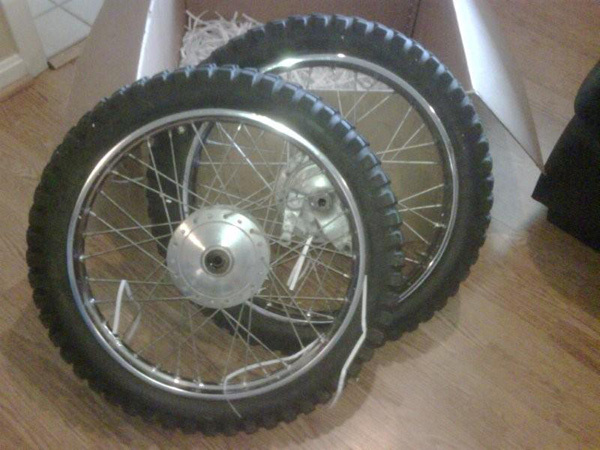 There is some dry rot on the rear wheel, but the chrome and spokes look great. This past weekend my wife and I celebrated 5 happy years of marriage! As if spending a weekend away together wasn’t enough, my wife gave me this book (thus showing her immense love for her geek). 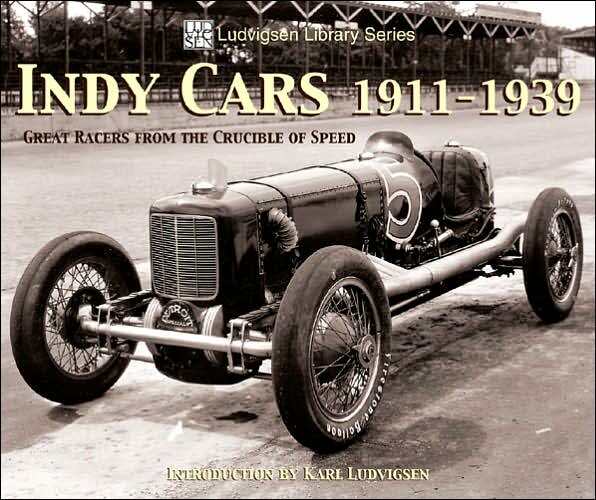 Surprisingly, there is a big picture of some great vintage Indy car on every page. I read it through last night and really enjoyed the history, like the first ever rear view mirror was used in the Indy 500. I also enjoyed all the pictures, that I suspect it will be very helpful in determining what lines I want my build to take and how work the suspension if I feel adventurous and decide to fiddle. I will mention there are no Bugatti’s pictured, you’ll have to pick up a book on the Grand Prix for that. Next up, cardboard prototyping the dimensions I laid out in tape previously (thanks commenter Steve for the tip).